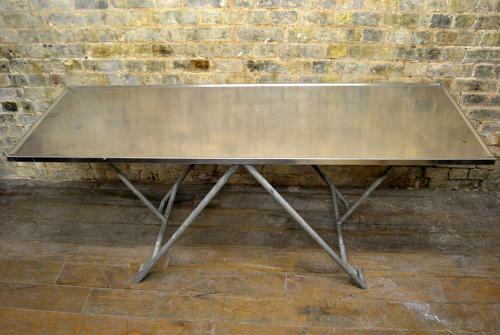 This is a World War II collapsible army table in polished chrome, estimated to be from the 1940s. It is ideal for shop display use or as residential furniture piece. We have three available.